Police are seeking 52-year-old Winston Anthony Reid in connection with an alleged serious sexual assault and an alleged violent assault. 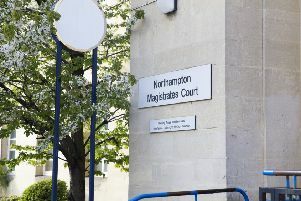 Reid, who also uses the name Malik Shabazz and sometimes tells people he was born in 1972, is alleged to have committed the offences in Northamptonshire earlier this year. Officers believe him to be living in the Wellingborough area. However he also has links with Northampton, Kettering, Leicester and, historically, has connections with London and the West Midlands. Anyone with information about his whereabouts can contact Northamptonshire Police on 101 or anonymously through Crimestoppers on 0800 555111.